An oil change is a great preventive step to keep you car running clean and smooth. It puts fresh oil into your car. It takes out the old oil that can become filled with dust, metallic shavings or other contaminants. 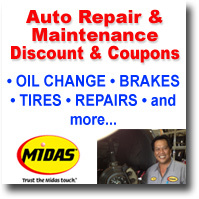 Without an oil change, your gas mileage may be lowered or even cause your engine to fail. 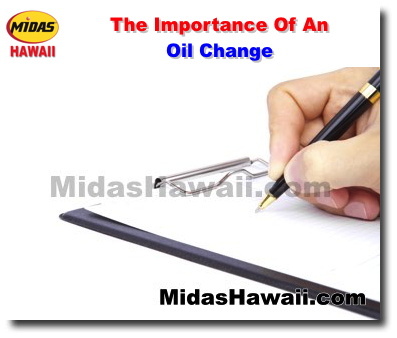 Make sure to change your oil filter as well as it helps to remove impurities from the oil and the engine. A good rule of thumb is every 3,000 miles for an oil change. However, follow your vehicle manufacturer's recommendations. 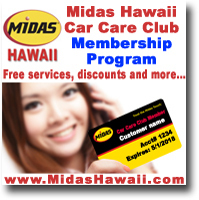 With a Midas Hawaii Oil change, our technicians recommend the right oil for your vehicle, inspect your car's air filter and check the levels of vital fluids for brakes, power steering, automatic transmission and coolant/antifreeze. Purchase our Oil Change Service service online and you can save even more! Visit our Shopping Cart today and start saving!